A surprising trip for y0ung minds with river wildlife, not too much Shakespeare and a 200 hundred year old working lock. Imagine the excitement of travelling through an actual working lock and then sailing downstream with the swans just at eye height, not to mention keeping a lookout for the ghost of the old lock keeper. Our 40-50 minute trip is a big hit with schools from all round the country who want to find out about Shakespeare, the river wildlife and to explore a bit of the Industrial Revolution. ​Stratford upon Avon will always be associated with Shakespeare but how many people realise that this small market town was also the gateway to the British Empire through the canal transport network that pre-dated road and rail? We have plenty to keep children occupied on board, including a quiz to accompany the light hearted but educational commentary. The Bancroft Gardens are an ideal area to have a picnic. They're right in front of the Theatre in the centre of town an you can get food and snacks at many of the local and unique catering boats like the baguette barge or Shakee's ice cream barge. The boat is fully accessible with a wheelchair lift and disabled toilet. The risk assessments and the access statement can be found below. 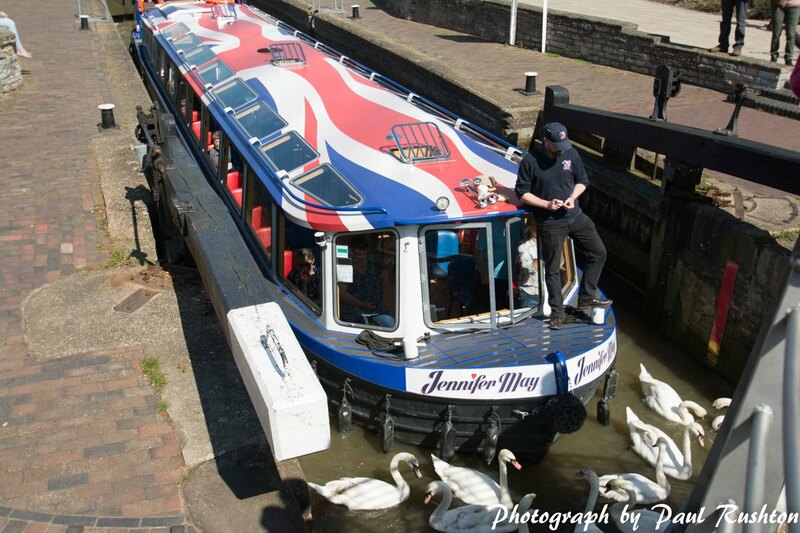 Jennifer May seats up to 60 and is heated, well lit and runs for 365 days a year, weather permitting if you want to plan a trip out of season. In the summer months all the windows come out and you can get even closer to the swans, coots and geese. Most schools prefer the standard trip with the audio commentary but if it's an exclusive trip and you want to create your own theme (pirates for example) then it's equally possible, we just need a bit of notice. ​Please contact us with any questions you might have.